Former president Bill Clinton and Hillary Clinton are seen in a photo from the 2016 presidential campaign. 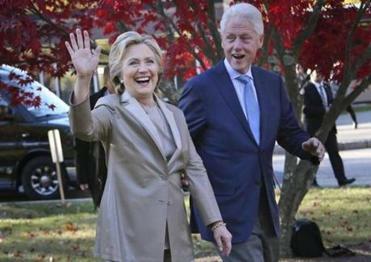 WASHINGTON — The 2020 presidential election season will kick off with some familiar names: Bill and Hillary Clinton. The couple is launching a 13-city tour, produced by the global entertainment company Live Nation, more known for musical acts than political ones. Billed as “An Evening with the Clintons,” it starts just two weeks after the midterm elections. And it’s prompting some rare bipartisan confusion. That’s because the Clintons aren’t selling a book. Or a TV show. Or a charitable cause. They appear to be promoting themselves. And they’ll be doing it just as a wide field of Democrats are casting about for a fresh face who can challenge President Trump. “An Evening with the Clintons” promises a “one of a kind conversation” at the Boston Opera House. The tour, which will take the former first couple to Boston, where tickets range from $120.50 to $370.50, as well as Texas, Michigan, Connecticut, and Canada, is part of a political mini-trend. Michelle Obama is on tour with Live Nation — though she’s also selling her book. Spokesmen for Bill and Hillary Clinton didn’t respond to questions about whom the ticket sales benefit. Or what, exactly, the message of the events would be. Or why the former two-term president and former secretary of state feel the need to hit the road now as a slice of the nation looks to future leaders to take on Trump. Political observers see it as an attempt to buff an image that’s taken a beating in the last four years, since Hillary Clinton was last out on a book tour in 2014 as she planned her failed presidential bid. It will give Hillary Clinton a chance, if she chooses, to point out the dire predictions she made on the campaign trail against Trump that have come to pass since his election. She famously labeled Trump a Russian “puppet” and predicted he wouldn’t criticize them for launching cyberattacks on the United States. And as president, he has indeed defended Russia. She warned that he would denigrate NATO, and he has. She warned that he would be hostile to immigrants and embolden hate groups. This has also happened. Her approval rating stands at 38 percent, according to a September 2018 Gallup poll. The survey showed that the former first lady’s standing dropped with Democrats after the 2016 election and hasn’t recovered. The most recent public polling for her husband put his favorability rating at 45 percent, but that was nearly a year ago in December 2017. Putting Bill Clinton into the spotlight next to his wife amid the national reckoning on how powerful men have treated women could also be awkward. The post-Clinton Democratic Party has largely embraced the #MeToo movement, but it raises uncomfortable questions for the former president about the women who have accused him of sexual assault. 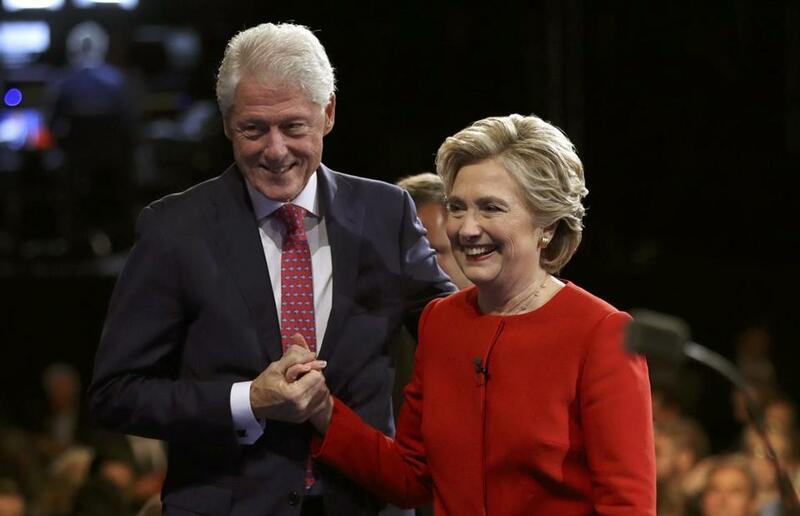 “If Bill Clinton is going to reinsert himself into the political process, every Democrat should be asked if they believe Bill Clinton or his accusers,” said Andy Surabian, a Republican strategist and former official with the Trump White House. Sarah Huckabee Sanders, the White House spokeswoman, put a finer point on it: “The only person with a lower approval rating than Nancy Pelosi is Hillary Clinton. We encourage their road show far and wide,” said Sanders in an e-mailed statement. She added: “Hopefully she makes it to Wisconsin this time,” a dig at Clinton, who has been criticized for ignoring the Badger State during the campaign. She narrowly lost the state to Trump. Even Democrats, who tend to be more charitable toward the couple, acknowledge that the tour will cause some headaches for the party that’s trying to move past 2016. And some Democrats have simply moved past the former first couple. “I actually have no thoughts about Bill Clinton and Hillary Clinton, I don’t think of them,” said Sherrod Brown, an Ohio Democrat once on Hillary Clinton’s vice presidential short list. He said he was unaware of the speaking tour and confused about what the two are doing. Others are just resigned to the fact that the pair, with a combined eight years in the White House, eight years in the Senate, four years helming the State Department, and three Democratic presidential nominations, will always have some space on the national stage.